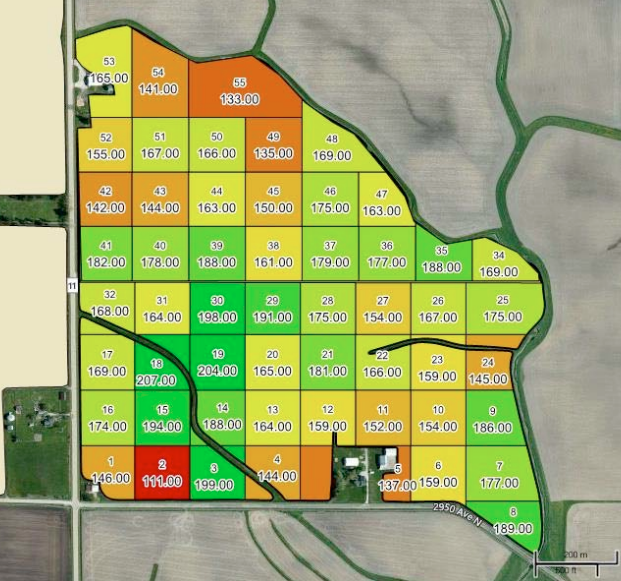 Nitrogen Application Management - Better corn yields with Nitrogen Pulse! Nitrogen Pulse is an industry leading source for Nitrogen application management to guide you to produce maximum corn yields. This is done by applying the minimum amount of Nitrogen to meet the demands of your corn crop’s maximum production potential, while also minimizing environmental impact. We use a state-of-the-art, proven soil test. It is the cornerstone of our program, not an unverified internet app. Since we are not using an UN-PROVEN algorithm, our results are PROVEN and accurate. Assigning values with an algorithm would be tempting for us to generate cheap, quick, and easy results. However, we believe that accurate and verifiable results matter. We feel it is important to first start with a scientifically validated soil test. We then maintain that value with our own proprietary and ground-truthed weather platform. Both tools have the ability to be better calibrated and improved throughout time. These are tried and true methods that will produce solid results. Everything starts with a soil test. Some areas of your field need more N, and others need less N. We feed both areas of your field the correct amounts which saves/makes you $$$. Wasteful “average Nitrogen rates” for a particular corn field do not work with our program. Under-feeding N leaves production short. With our program, you will no longer farm an entire farm, of even an entire field. Our Nitrogen application management program helps to properly farm each grid cell. The recommendations come from scientifically verified testing methods that produce real results. Nitrogen Pulse challenges you to ask for, and demand more results from OUR Nitrogen Management System. No more elusive results that have always been covered up by “over-applying” N-rate guesses. Methods that have not really changed since the 1950’s. Weather Pulse was integrated into our program to help measure the corn plants’ Nitrogen needs. Our skilled weather technicians accurately track heat accumulation (GDU’s) and rainfall data. Together, these 2 data-points produce accurate Nitrogen loss and performance predictions. 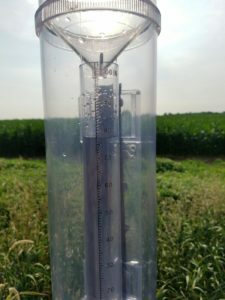 Nitrogen Pulse’s reliable weather tracking sources guide our corn producers to know WHEN and HOW MUCH you need to be replacing or maintaining applied Nitrogen throughout your corn crop’s growing season. Weather Pulse also predicts when specific weed-classes are germinating throughout the growing season. Weather Pulse also allows you to enter “irrigation rain” data into your own personal rainfall database. The combination of our scientifically validated soil test, VRT application, and proprietary weather platform gives you, the corn farmer, the most effective tools available. We believe that it is technology’s responsibility to carry good science. This commitment that we have made, gives corn farmers the best possible results for managing Nitrogen application.